← Day 71: Martinis and Manicures. Presumably this is the voice of the booth. Frugal Fridays made a reappearance today with yet another voucher redemption. Hurrah! I found myself at Afterglo Tan Bar, near Yonge and Bloor, to try my first ever That’so Organic Spray-on Tan (I paid $25 for two sessions; regular value $70). For some strange reason, this just seemed like the natural choice to round out my self-imposed beauty week. Now, I am not your typical tanner. In fact, far from it. My love for all things shiny makes it difficult for me to simply lie on a beach for hours on end worshiping the sun in an attempt to reach a specific shade of bronze. I have fair skin that will eventually go a nice golden colour over the course of daily exposure during regular activities, like sitting on patios with pints, but this is almost always preceded by a couple of rounds of burning and peeling over the course of the summer. C’est la vie. 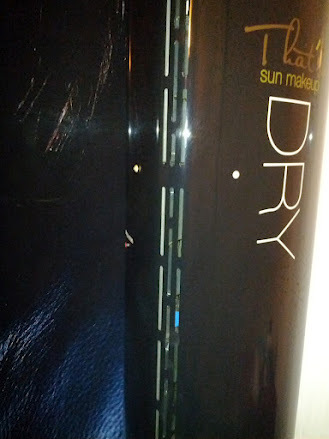 I did try a tanning bed once, on the advice of my roommate at the time, who was about as fair as I was. We were planning a trip to Brazil in the middle of winter, and we were both paler than Casper. The theory was that it would help to alleviate the third degree burns that were patiently awaiting our arrival, to maybe first or second degree. It was hard to judge which would be worse for spurring on melanoma. So we went and lied in the luminescent berths, and the experience left me less than thrilled with the results. More recently, having lived in Ireland for the past two years, I was fascinated by the ritual of the fake tan that preceded most formal events there, to which a significant portion of the women would arrive with a decidedly carrot-coloured glow. I could never quite figure out if these were just the tans that came from a bottle, or if these hues were actually sprayed or baked on, but it was clearly not the look I was going after. So it was with some trepidation that I entered the tanning salon, and tried to drink in all of the important information that was being sprinkled at me. I was assured that the ingredients in the spray were all natural and organic, and that the actual application would take a grand total of about six seconds. 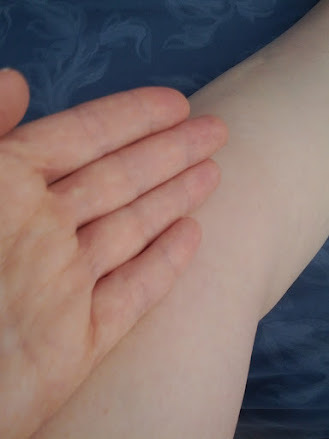 I was also instructed to use the cream that was provided to coat my fingernails, soles of my feet, and any other areas that probably should not be tanned, like in between my fingers and toes. I was then given a hairnet to wear, and told to listen to the woman’s voice who would guide me through the rest of the procedure. Oh crap. Listening, but more importantly, remembering, is not exactly my forte. Almost as an afterthought, just before the girl closed the door leaving me alone with the imposing sun booth, she casually mentioned that I should remember to hold my breath, close my mouth, clench my eyes tightly shut, stand on the foot pads, keep my knees slightly bent, my arms out with elbows bent with hands hanging down, while I slowly rotated back and forth as soon as I pressed the start button. Um, come again? Then I should turn around, repeat the stance and motion, before the air drying cycle would commence, which I could trigger ad nauseum until my skin felt sufficiently parched to put my clothes back on. Right. I quickly decided to purchase a tiny pair of tanning goggles which just sat on the bridge of my nose, as the thought of getting this stuff in my eyes, organic or not, made me shudder. This turned out to be $4 unwisely spent, as about 1 second after the spray session began, they fell off my face. 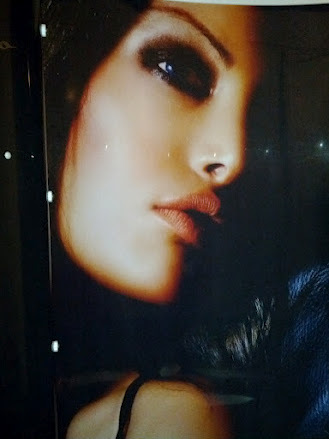 I tried to remember the rest of the tips that I was given to achieve the perfect glow, as I attempted to listen to the eerily soothing woman’s voice emanating from the machine. 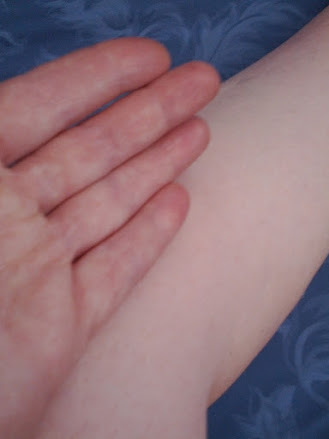 Mercifully, it was indeed over rather quickly, at which point, I wiped off the spots where I had applied the cream, got redressed, and washed my hands. After emerging from my private room, the girl at the counter informed me that the colour would continue to deepen every hour, and that, once I was happy with the shade, I should bathe, which would stop the darkening. WTF?!!? I had numerous errands lined up that would keep me from getting home to shower for at least several hours. Doh! Ah well, it turns out I needn’t have worried, as the level 1 (of 3) that I chose to have applied was the lightest, which resulted in an almost natural looking golden colour that I might achieve myself by say mid-June. The only real hiccup in the day occurred when I decided to enjoy the glorious sunshine by walking between my various tasks, which resulted in a good old-fashioned light pink sunburn on my exposed skin. Oops… So, in the end, I did manage to acquire a nice, albeit not exactly healthy, glow that evening, which was the original goal, so it’s all good… Ish. Here are the before and after shots I took; can you spot the difference? This entry was posted in Spa and Beauty and tagged Afterglo, beauty, deal, May, spa, spray tan bar, spray-on tan, Toronto, voucher. Bookmark the permalink.